Because we dont run the read-option. The only options we run are RPOs. To be fair, Gus hasn't played him against Missouri yet. Poor play IS FROM POOR COACHING. 37. So when we hit that number, please start another thread to let us know its time. Thanks for the cooperation. In. He's done such a great job the last three years we should be praising him. Nothing is his fault or doing. Just the most unlucky coach in the history of history. He will get this thing figured out in a couple of years. Just needs more time. I hate starting threads so I'm posting here: update on injuries: slayton (low ankle sprain) returned to practice and looks good. Already cutting on the ankle. Probable for sat. james (neck sprain/"stinger") participated in practice limited. Usually if free of symptoms for another 24 hrs could return to full participation. Questionable for sat. Davidson (knee sprain) primarily held out for rest. Probable for sat. wde! My question is how many crybaby fans can one program possibly have. How ridiculous do you think you sound bashing a coach and wanting him fired after two games of a season with 10 to go? If he goes " Chizik 2012" it will happen the morning after the iron bowl. But he might go 2013 all over again. Drink a beer or twelve, hope for the best and live with what happens. But for gods sake quit whining. It's more embarrassing to me than the offense vs Clemson. Who do we blame? What issues are you speaking of? Did the coaches put the bong to SW mouth and tell him hit it or take him out to parties? Did the coaches discourage Cowart from being a good player? Did they want the supposed number 1 player in the nation to fail? How do you not blame the people who are committing the actions? Now the on the field play I 100% agree if we don't finish as expected there comes to a point when we have all of the talent we have that you can't blame players, but with the SW and BC issues how in the world can you blame the coaches? No he can't . He is not that type of QB. You need some one with speed and/or quickness. I wish we would put the read option out to pasture. Get more pro style with the ability to adapt out of it. 2018 4* Buck End Richard Jibunor commits to AU!!! While I agree to some degree... All recruits want to win. If we don't start getting better on O and winning the big games, then who is gonna want to be here? Forget the fact that who is going to want to commit to a team who's coach is on the hot seat year in and year out even if he is winning. Never been asked that before on here. What makes you ask? But the answer to you question is not really, but sort of. I am a financial/estate planner. I sell people on myself and the job I can get done for them with estate tax/charitable/succession planning issues. Back to football: It will be interesting to see for sure. I am just in the mindset, if his redshirt will be burned, go ahead and do it. Need need to do what Ole Miss did to Sea Patterson. Gus is a millionaire mercenary coach at a football factory school. He should be big boy enough to handle heavy criticism. 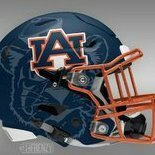 Hoping Clint comes out of the investigation in good shape.....he put the AU program on the map and has set the table for Mickey Dean to take things to the next level with a good roster and some fine commits. Can't wait until the new season gets under way. Deshaun Davis ... 3* steal ... give me more just like him! Honestly, I remember going to games and feeling proud, privileged, and blessed for being able to attend. That's because you, me, 64 and some others aren't from the "instant gratification, I'm entitled" generations. 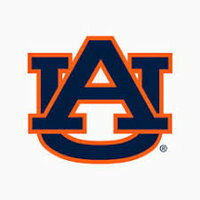 I can't understand why the Gus lovers think that those who are upset are only upset with how this season has started. Where have you been the last 3 years? We have seen no progress by the offense. You're defending him because we put up 500 yards on GA Southern and Mercer??? Whaaaaaaat????? Look at it this way, Gus is one miracle tipped pass (in yet another game where his taking the foot off the pedal nearly cost us) and one once in a lifetime special teams play(in a game where even the mighty Saban made some very questionable decisions that kept us in that game) from a 9, 8, 7, 8 win seasons with ZERO wins over Uga and UAt. Let that sink in. Make the mascot a burner phone? I just want him to start chewing with his mouth closed. I'm on board the fire Gus bus, but Saturday night wasn't on him. 5 turnovers will get you everytime. And I'm never going to blaim turnovers on a head coach. These players have been playing football their whole lives. Fumbles are inexcusable, as far as I'm concerned. I would give him another week no need to rush him back and reinjure it. I think we will be throwing more Saturday and the other backs also need some work. If you notice, it's not a zone read. They carry out the motions, rather poorly, but it's a straight zone play. He's NOT reading it. If he did he would have scored a TD against cousin Clem. I've had several coaches concur about this. After hearing Coach Dean acceptance speech, I was under the impression that practice would start last week. I recently got an email from the On Deck Club (soft ball support group) that practice would start 9/27. This would be roughly 3 weeks prior to first fall game. From looking at twitter of a couple of players I got the impression that they began some early morning conditioning workouts about 2 weeks ago. 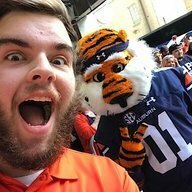 As I posted in a different thread, I left a voice mail with Megan Reynolds suggesting they post practice schedule/times on the AU Softball twitter page. Also the email from the ON Deck Club indicated the schedule/times would be posted. As others have posted, I was also saddened the Coach Myers had to retire in the setting of a program scandal. Not what he deserved in my opinion. Under the circumstances we came out better than I could have imagined and I look forward to continued success in the softball program. Great question. Gus needs to show us many things on the offensive side of the ball as well as special teams and putting playmakers in position to succeed. I will try to condense it from my standpoint. 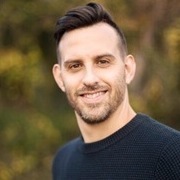 Gus needs to show the ability to come up with an actual game plan that utilizes our strengths against the particular team we are playing every week. Up to this point he has not done that. What we have seen up to this point is Gus just running the exact same things over and over again regardless of who we are playing. To him, he has some plays and he runs them. Gus needs to show the ability to make offensive adjustments to his game plan, that he does not have, as well as personnel to adjust if needed during the game. This ability would be awesome during the game but hell at this point we will take it at halftime if needed. Stop running Pettway into the ground because you don't know of anything else to do. Gus has players at his disposal. He just REFUSES to use them. Gus needs to get over his fear of youth and put his play makers in a position to succeed. We have too many guys who offer way too much to never see the field. Nowhere is this more prevelant than on Special Teams. I'm literally shocked he does not have Pettway returning kicks and punts at this point. Put your burners back there in practice every day and find the guy that can catch the ball and use his speed to run north and south while making people miss. I have nothing against KJ and I have heard all of the arguments on his 20 something yard average but please tell me the last time we housed a punt or kickoff for 6 points against a good team. Isn't that what killed us against FSU in the Natty or am I getting old. Gus needs to quit acting like a turd in front of the media. When he feels the pressure, like the last three weeks, he answers more questions about things without being so standoffish. When he does not feel the pressure he acts like a jerk. If you are winning and kicking teams teeth in, then yeah act how you want to. My biggest complaint. Flex posted some very good information here after one of our games. It had really good insight as far as X's and O's of what we are doing wrong. This is the part that really gets me with Gus......I don't think he understands these simple concepts. Let me reword that. he does not understand why what he is doing is not working. That is the killer. Where in the hell are our TE's? Why is McClain who runs like a friggin gazelle not lined up in that spot making LBs and Safeties cringe? For all of the stuff Gus has done in the past trying to stretch the defense out wide with that horrible WR Screen why in the world does he refuse to attack the guys on defense that are blitzing every play killing us??????????? It is mind numbing to watch. And he makes 4 bills as our HC and offensive guru. If our O-line has issues then why in the world are these issues never worked out before the season? It's the same every year with this guy. Fix these and I will be on board. My fear is that he does not know how to fix the real issues of why it isn't working. If we can't run then his solution will be to pass more ect. instead of being able to diagnose why the running game is not successful. My reason for this thinking is that there is no way Al Borges and Chip Lindsey don't already see these problems and he refuses to change. Maybe just maybe he will let others have some input for the remainder of the season. My question to the Gus lovers in return is as follows If we hired Gus mainly because of his ability, that he had shown, to compete with anyone as a great offensive mind, then why would anyone want to keep him in year five of this disaster? It's a shame what this program has caused fans including myself to feel. I'm sure many of us have been filled with optimism despite starts like this one that we have in the past. It has just become too much. I want to be positive and think that AU will blow out mizz and get things rolling but I don't feel confident about that at all. I swear it seems like being an AU fan requires counseling at times. I'm behind Stidham 100%. It's not his fault he has practiced one thing and then been called on to preform something different. People like to point out that Saban's primary advantage over other teams isn't his on the field coaching, but more talent to work with. I agree. But he also typically has fundamentally sound teams that don't make a lot of mistakes and he tends to get the most from his best talent. Malzahn is the opposite. We typically look lost until nearly midway through the season, make consistent fundamental mistakes in the same places, we've had a carousel of coordinators in five years and pretty absurd attrition. This program in year five looks like a program still in year one and with as much talent and experience as we've had in many years. I think the bashing is more than warranted. Willis needs to play Sat if AU can get a comfortable lead.. All backups at every position need playing time. Well, that was year 1, when defensive coordinators had not seen the scheme before. By year 2, they had adjusted pretty well. By year 3, the scheme was nothing new or unusual and DCs throughout the inference knew how to defend it. Just like the wishbone or the west coast spread, it works for a short time, until DCs figure it out. Then it's back to the same ole same ole. Talent vs talent. The Gus scheme is no longer scaring any DC. And Auburn's offensive line and WRs are just not up to the task of competing against the best SEC defenses. Hey, I'm an Auburn grad and fan for 40 years. 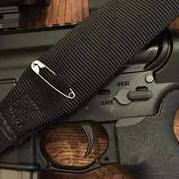 I am not part of the anti-Gus league on this board. But I am a realist. 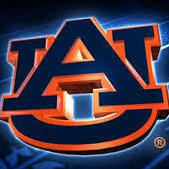 Auburn is going t have to step up recruiting on offense to equal the amazing talent level on defense. Also has adjusted his defense when needed. Changed from big, slow defensive linemen to smaller but quicker ones who could rush the passer. Saban adapts to what is needed. Gus just stays Gus. Yes Clemson. Auburn with a lake......and a coach lol! He learned how to be a CEO instead of the defensive coordinator. He learned how to trust his staff, and hold them accountable. He learned how to manage player development. He learned how to sustain success. Those things don't just happen. And he's changed scheme and style multiple times. His OCs range from Jimbo Fisher, to Major Applewhite, to Jim McElwain, to Doug Nussmier, to Lane Kiffin, to Brian Daboll. He started with a fullback/two tight end pro style offense, then went to play action, then to a dual threat QB. Gus tried to turn the reins over to Lashlee last year, and it lasted all of 5 or 6 games. And if better talent is the key, remember that AU has 5 or 6 years of top 10 recruiting classes. Does our on field performance reflect that? My point is not to compare Saban and Gus. It is that no coach attains greatness without learning how to alter their approach. Gus is very bright and still early enough in to make some changes from lessons he's learned. I hope for our sake he does. WDE!? Don't remember Myron Burton being dismissed. I think he just left. Carry on if you have time War Knight. With 50% of the '14 class gone, I'm interested to see what the '15/'16 classes look like. Greetings y'all! Can't speak for the rest of the Admin/Mod crew regarding an exact number, so I'm just floating around out here going with the flow. You know, reading threads , and junk. What else would we talk about? Gus's failures have comprised the majority of the conversations on this board since the season started.